We have all faced problems that were too big and tasks that seemed impossible. In those situations, some people choose to attack directly, go straight in, give all they’ve got and hope it will be enough. Have you tried it? Most of us have. That approach, and the usual result is beautifully described in one of my favorite poems, Charge of the Light Brigade by Alfred Tennyson. Every time I read it, his wonderfully chosen and assembled words create in me an emotional response. Tennyson wrote a great poem, but the tactic the Light Brigade used seldom worked for me. If the problem you are facing were the guns in the valley of Death, would you charge straight in? 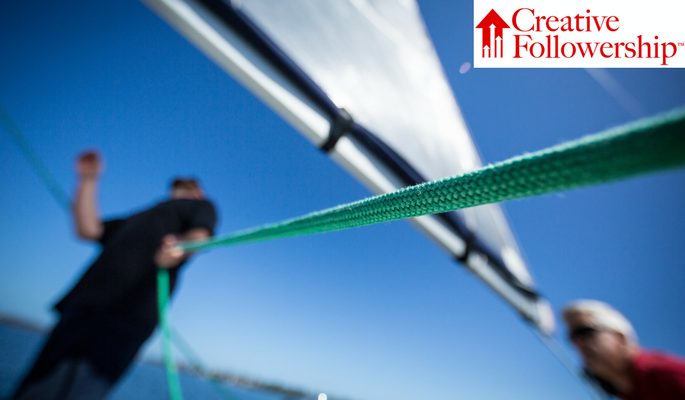 If a problem you are facing was a storm at sea and the wind was blowing directly at you, would you sail your boat directly into it? I learned a better way when I was a boy in church listening to my pastor, Robert O. Weaver. One Sunday he grabbed my attention when he began by saying that a sailboat could be sailed into the wind. How could that be done? Dr. Weaver was a master wordsmith and could explain complex concepts so that a 10-year old boy could understand and apply the knowledge he was sharing. I had never heard of tacking or been on a sailboat, but he explained tacking so clearly and simply that I understood exactly how it was done. You can defeat the wind in your face that is keeping you from reaching your destination by setting the sails to zigzag back and forth. That is tacking. By tacking, you take on the wind a little at the time, and you can sail through to your destination. This is how I have used what I learned. When You Want to Sail into the Wind, Tack! It is foolish to try to sail a sailing boat directly into the wind. You can tack. It will take longer, but you are more likely to reach your destination. I have encountered many problems that at first seemed impossible to solve. 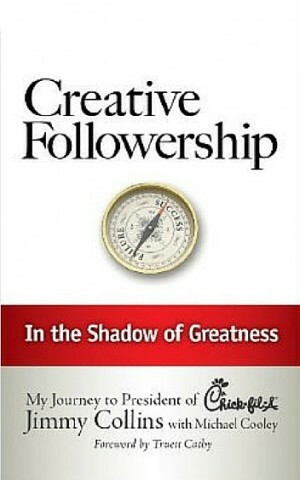 The problems were like a fierce wind blowing directly at me and keeping me from reaching my objective. Should I charge straight in like the Light Brigade? I didn’t like the odds. Many times, I have done exactly that! Using tacking, I have been able to complete many impossible tasks. Head-on assaults can be very painful, costly and too often disastrous. By using my mind, rather than muscles, completing the task was not as painful and costly; usually the results were much better. By taking responsibility and solving problems that were too big, I was able to gain the confidence of my boss and the cooperation of my coworkers. Taking that responsibility was easy because there is not much competition for taking on the big difficult and dirty problems; most people do not want to take responsibility and sail into storms. There are solutions for every problem. Those solutions are not easily found by direct assaults into the storm. By tacking, taking the big problem apart and rearranging the pieces, I found most problems are not difficult to solve after you break them down into separate pieces. Solving several small problems at the same time is much easier than wrestling with a single big problem. When I Want to Sail into the Wind, I Tack! What approach do you use when you face a problem that is too big? By sharing your story, you may help someone who just needs a good memory jogger for encouragement when facing that big impossible task. People will remember your story long after your advice is forgotten. Share your advice with a story. 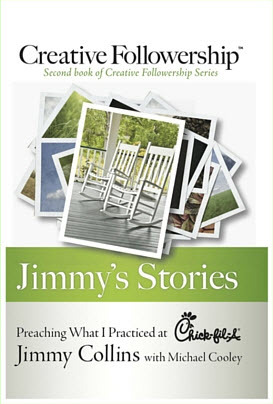 For more illustrations of how to use your stories to illustrate your advice, take a look at my book Jimmy’s Stories: Preaching What I Practiced at Chick-fil-A.